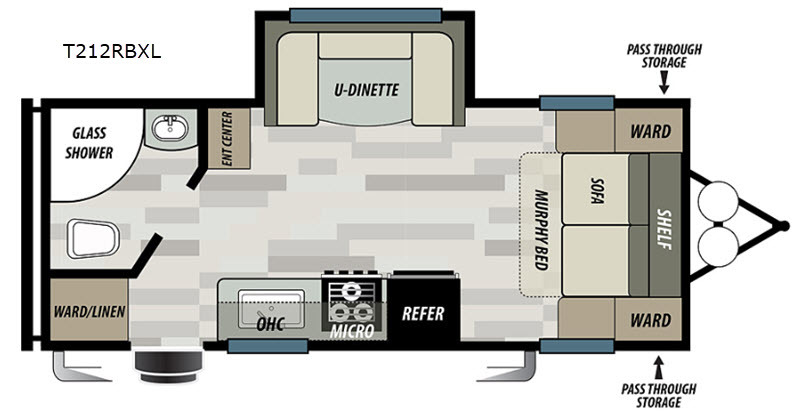 A single slide out, a u-shaped dinette, and a rear bath are just a few of the features that you will enjoy throughout this travel trailer. You can prepare a meal on the three burner range or make something quick in the microwave oven. After you've hiked through the woods, clean up in the full rear bath that features a radius shower for more space. 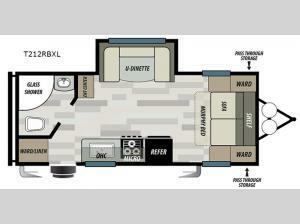 The Murphy bed is convenient and comfortable and in the daytime you can enjoy the sofa once the bed is put away. You can bring along your fishing poles or larger camping gear and easily store them in the pass through storage. 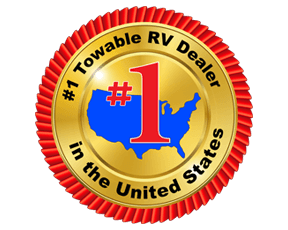 Give this travel trailer a look today!